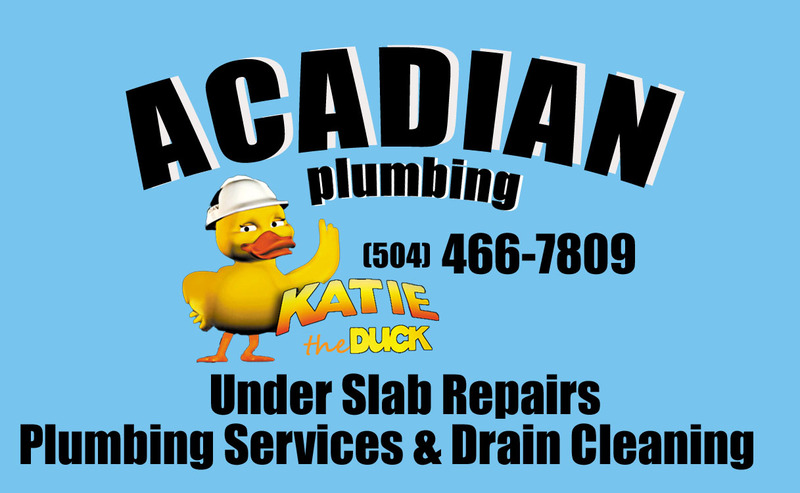 Acadian Plumbing provides under slab repair and hydro tunneling services to the New Orleans Metro Area. In New Orleans, under slab repairs are required by many homeowners and businesses due to the settling and shifting of foundations. As a foundation shifts over time, it may cause pipes to separate or crack. The safest and most effective way to reach the pipes is to use hydro tunneling. Hydro tunneling is the process of excavating the soil from under a home or building to expose a damaged pipe for repair using pressurized water. An air conveyance, or vacuum, is used to transfer the soil or debris to a debris tank. This allows for a non-destructive and more accurate way to excavate the soil and locate underground utilities. The primary benefit of hydro tunneling is that it improves safety and reduces damage to underground pipes, lines, and cables. This, in turn, eliminates the high expenses needed for repairs and restoration. Once the plumber finishes repairing all of the plumbing beneath the home and tests the system, a sand pump machine fills every inch of the tunnel with sand to ensure that the hole is sealed. Sand pumping under a slab or below a foundation will help to stabilize the area and prevent further damage. The sand protects the pilings underneath the home or business, supports the foundation and plumbing, and helps to eliminate pockets where water can pool and cause damage. Sand pumping can also be used to fill sinkholes near the sides of a slab and even to fill low spots in yards. Don’t let the problem get any worse…Call Acadian Plumbing Today!